A friend of mine made this video for me for this site. 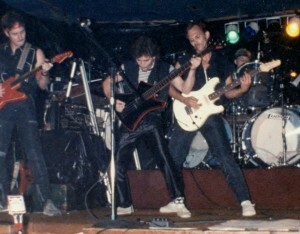 Allie Small and I were in a rock band from 1983-1985, he now owns a company called Signature Media Group near Atlanta. We only recently got back in touch. Allie also made the new header for this site. Much of my efforts for the next few months are going into my other website. As I mentioned a few weeks ago, I have enrolled in a marketing project with Firepole Marketing that is focused on creating engagement with new customers. Allie’s company will be providing much of the graphic and creative content for that site, this video is just a sample of his work. Check out some of the other work on his site, it’s pretty cool stuff. Of course he also plays the music for his videos. While this site will remain non-commercial and focused on automation techniques and products, my other site will be promoting solutions for the business aspect of manufacturing with a focus on automated systems. I am currently finishing an e-book on planning and implementing machinery and production lines with an emphasis on documentation and procedures, this will be available on the business site in a few weeks. I am also working on a series of “philosophy” posts that pertain to improving workplace efficiency and creating systems for machine building. Of course I will keep readers here informed and let everyone know when the new site is formally launched.